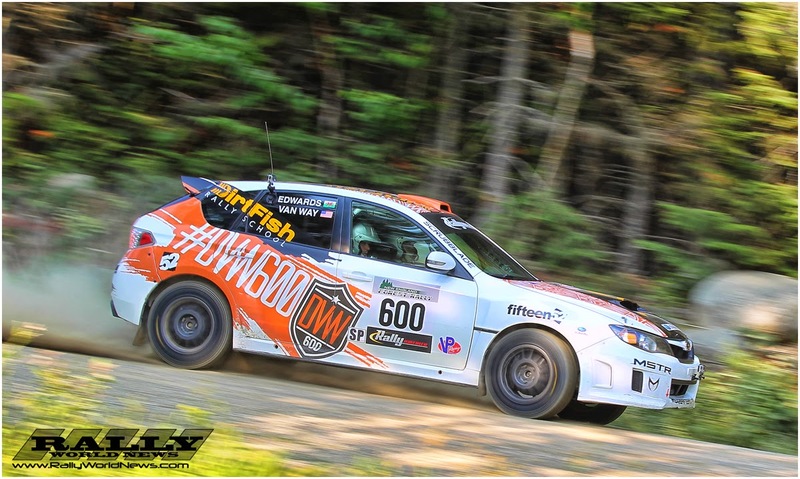 Newry, Maine (July 19, 2014) -- Subaru Rally Team USA's David Higgins and Craig Drew overcame a late New England Forest Rally scare to take their fourth Rally America National Championship title on July 18-19 in Newry, ME. 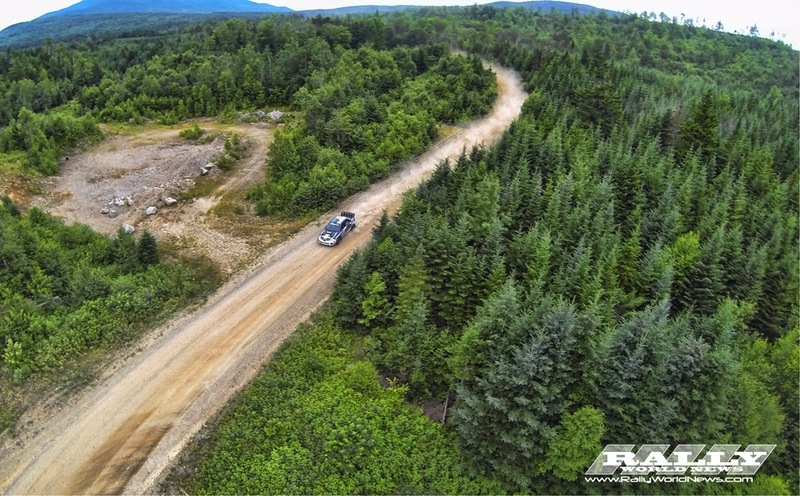 The scare occurred when British rally competitors Higgins and Drew opened up a 1:34.5 minute lead over rival teammates Travis Pastrana and Chrissie Beavis in their 2015 Subaru WRX STI heading into the last leg of the New England Forest Rally. Higgins struck a rock on Stage 10 causing major suspension damage. At the end of the stage Higgins was in the process of repairing the damage when a fire flared and he received a face full of fire extinguisher spray. Higgins' lead over Pastrana was cut to 31.1 seconds. 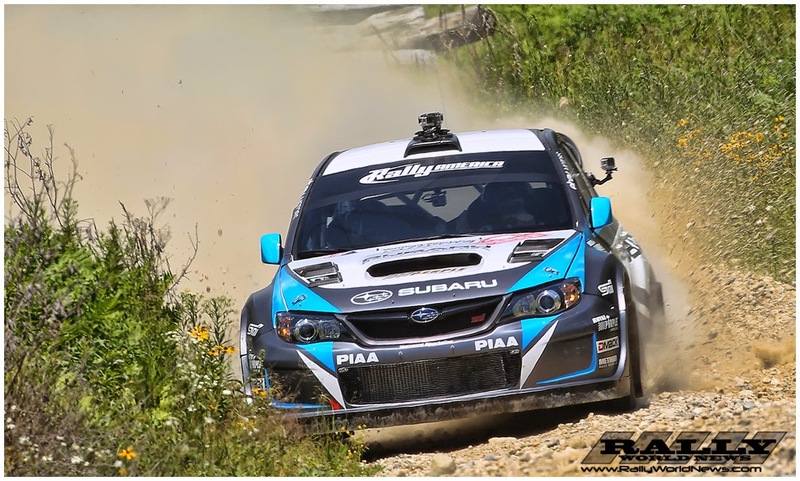 Following service Higgins pushed through the last three stages, despite the discomfort, to take his fourth consecutive Rally America title, and sixth U.S. National Championship overall victory in an outstanding career to date. Super Production's Dillon Van Way and Andrew Edwards secured a consecutive class victory and a fourth place overall placement. Van Way is fresh from winning his class three weeks ago at the Mt. 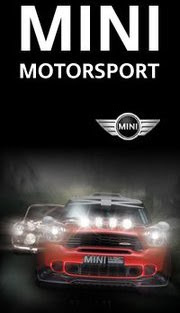 Washington HillClimb. His victory helps extend his Super Production points lead over Nick Roberts and Rhianon Gelsomino with two events remaining. "The team has been really strong and we haven't had the luck to win until the last two events," stated Van Way, "We need the points and the Super Production Championship is looking pretty good for us." Nick Roberts and Rhianon Gelsomino had led the event until Van Way took over the class lead on Stage 6. On Stage 8, Roberts went to wide into a corner and got stuck. The team was not able to extract themselves and unfortunately was forced to retire. 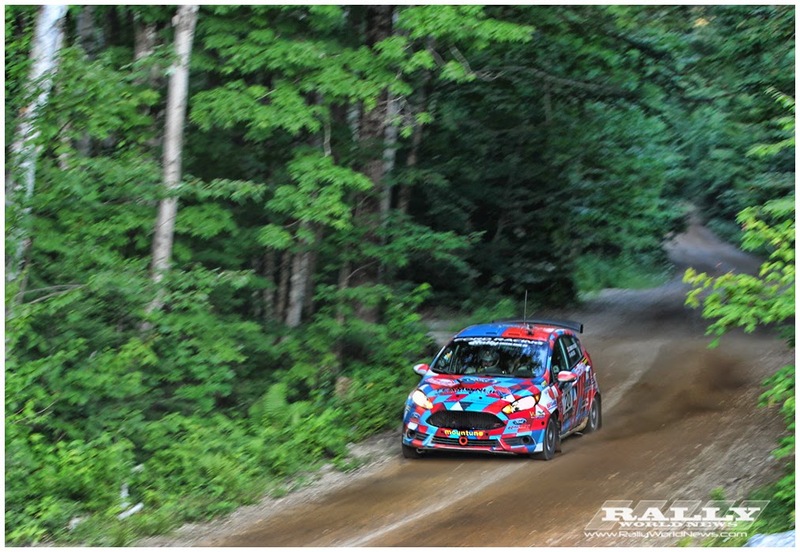 Another Championship was decided at the New England Forest Rally with Ford Racing's Andrew Comrie-Picard (ACP), co-driven by Ole Holter, taking the Two-Wheel Drive category victory. ACP survived challenges from Scion Racing's Matthew Johnson and Jeremy Wimpey, and Datingsite.com's Troy and Jeremy Miller, to take his first career 2WD title. "We are totally thrilled, it's just amazing to win this event and lock up the 2WD Championship with two events remaining," exclaimed Comrie-Picard, "It took us a few years to get here. 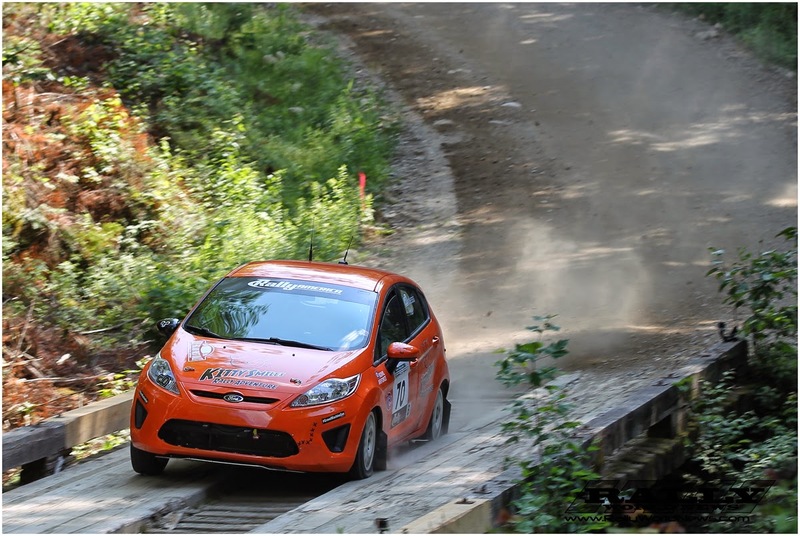 But the Ford Fiesta ST has been amazing and Ole (Holter) has been terrific in the co-driver's seat." 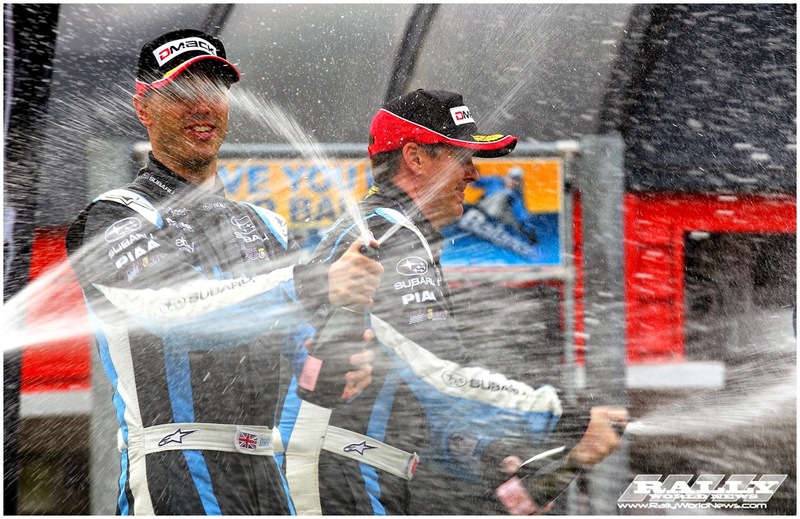 Bethel, ME hometown favorite, Chris Duplessis with British co-driver Phil Hill, took the B-SPEC Class win in a Ford Fiesta over Honda Performance Development's James Robinson and Brian Penza and their Honda Fit. But it is James Robinson's finish at the New England Forest Rally that mathematically secures his second B-SPEC National Championship. 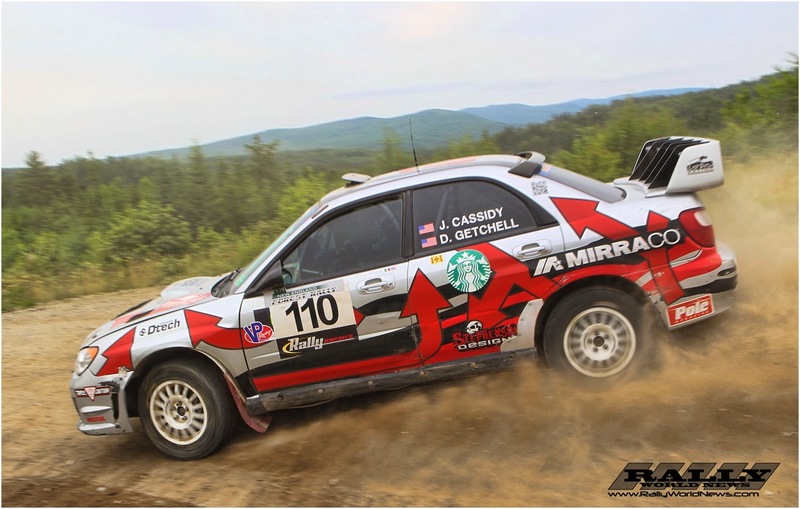 Another local driver from Bangor, ME, John Cassidy with co-driver Dave Getchell, took the Maine Regional Rally and New Hampshire Regional Rally victories. 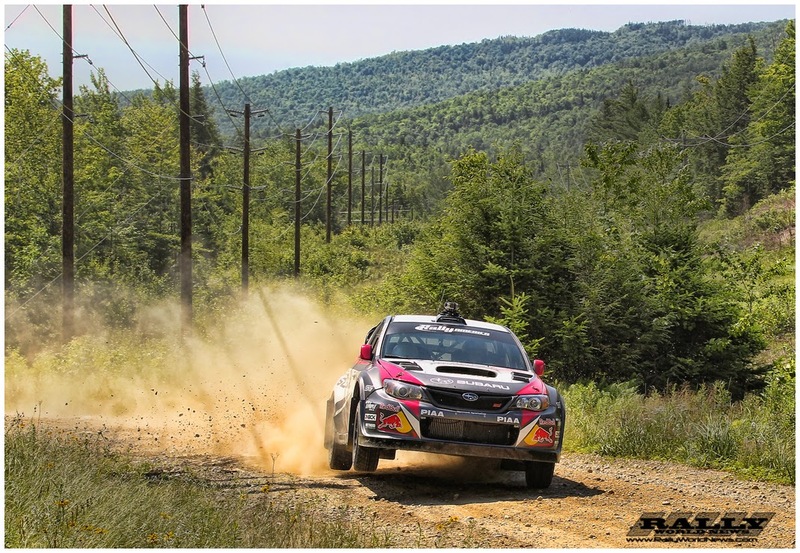 The Rally America National Championship's next television airing the NBC Sports Network is August 2at 12:30pm EDT. The next televised date is August 31 at 5pm EDT. More show details forthcoming.